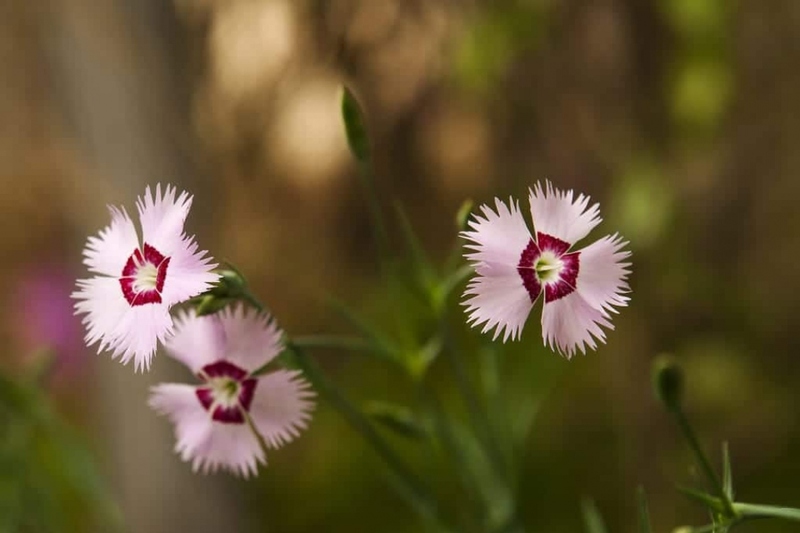 Rainbow pink (Dianthus chinensis): growing, planting, caring. The rainbow pink is an easy one - try it! Dianthus chinensis - rainbow pink or China pink - is a species of Dianthus native to northern China, Korea, Mongolia, and southeastern Russia, and widely cultivated as an ornamental plant, both in China and across temperate regions of the world, with numerous cultivars being on the market for garden use. It is a herbaceous perennial plant growing to 30–50 cm tall, with green to greyish green, slender, 3–5 cm long leaves, and white, pink, or red, 3–4 cm diameter flowers produced singly or in small clusters from spring to mid summer. The pink rainbows are sown under cover from February. Cover them very little, because they need light to germinate. Plant the seedling between two and four weeks after sowing (as soon as the plant is sufficiently developed to be handled). Separate carefully the seedlings and replant individually in a bucket filled with transplanting soil, or a mixture of soil and well-decomposed compost. Water copiously at the plantation, then regularly during the first weeks to keep the soil moist. Mulch to limit evaporation in summer, with a mulch of leaves or compost. Rainbow pink multiply by seed, so think of harvesting seeds in summer, and sowing them under shelter from February. Be careful, hybrids often have low fertility, so you may have to buy new seeds. Only a few varieties of rainbow pink are hardy, in other cases bring them in for the winter, in an unheated, luminous room. Once the temperatures rise above 5 ° C durably, put your rainbow pink outside gradually.